Immediately after activating theme you will be redirected to Setup Wizard which will guide you through process of importing demo content. Completing the process will create almost exact copy of demo, which will help you start working with the theme. If you don't want to use demo data, click "Not right now" and you'll be redirected to your Dashboard. On the next page you will be asked to Login with your ThemeForest account and grant permissions to enable Automatic Updates. 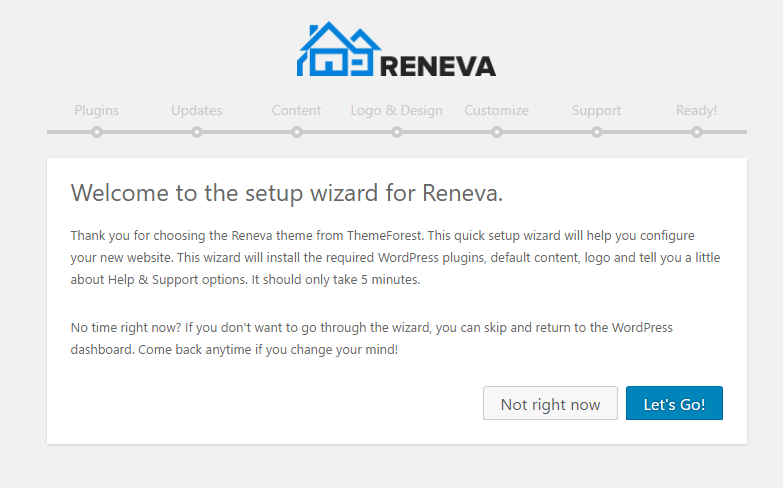 By default WordPress themes from ThemeForest don't have update notification like regular themes from WordPress.org. 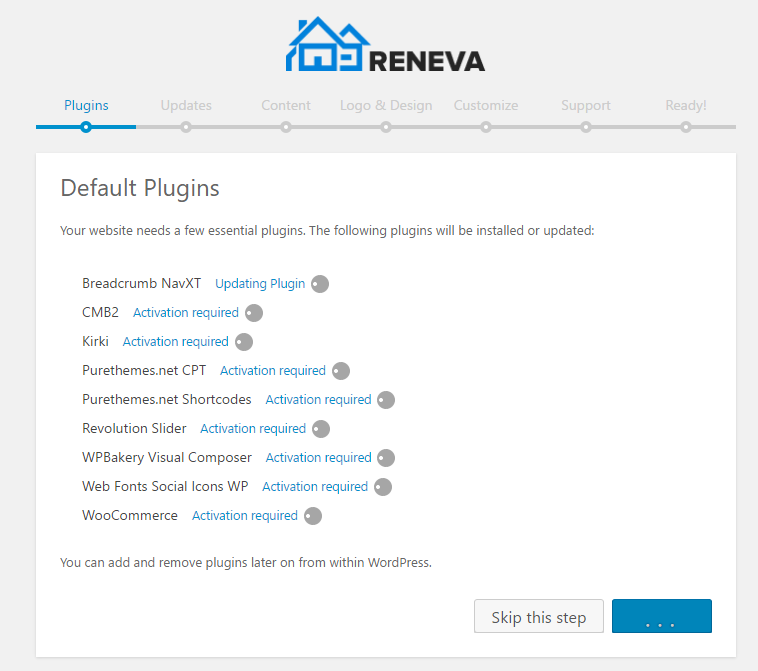 You can however add it using Envato Market plugin that is installed with the Reneva. This is of course optional, so if for some reason you don't want to do it, just skip that step. Unfortunately it's not possible now to import slider with setup Wizard, so we have to do it manually. 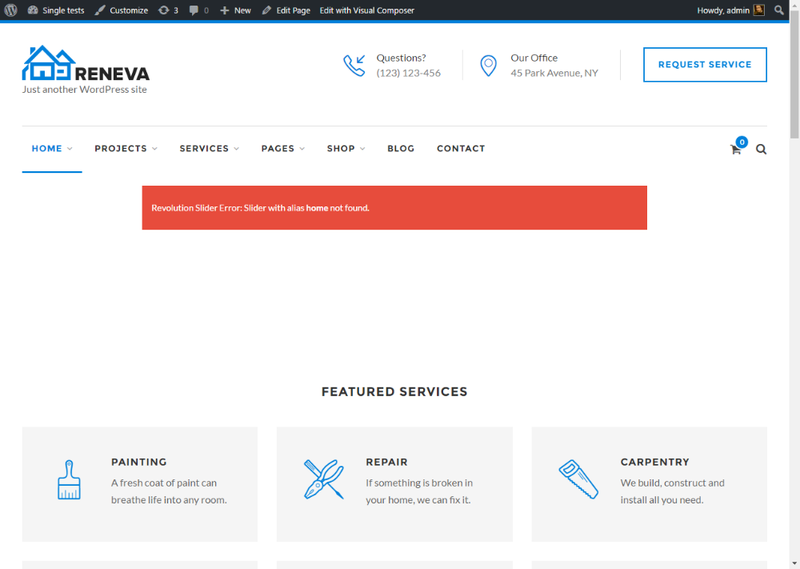 Import file is located in main theme package (if you don't have it yet, go to ThemeForest -> Downloads - and next to Reneva click Download -> All files and documentation) in extras/revolutionslider.zip. 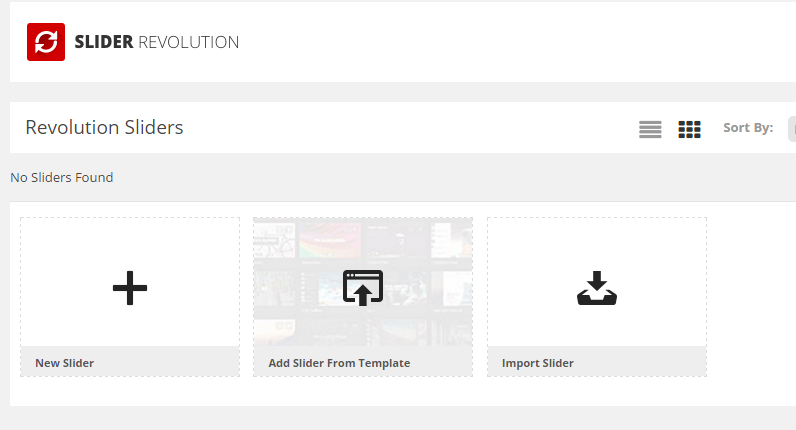 choose the revolutionslider.zip and import it. All photos included with demo import file are just super blurred original images, as they are copyrighted files purchased on Stock sites and cannot be included in the package.